Hello! 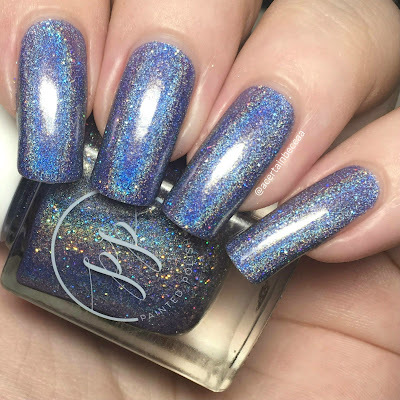 Today I have a Painted Polish and Cupcake Polish collaboration to share with you. Both brands have recently hit their 4th anniversaries, and celebrated by releasing a duo together. The polishes are based on the hydrangea flower, the official 4th anniversary flower. I love both brands, so grabbed these as soon as it launched on Rainbow Connection. 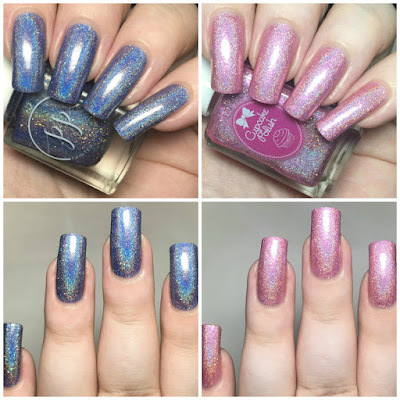 Read on for full swatches and more info! 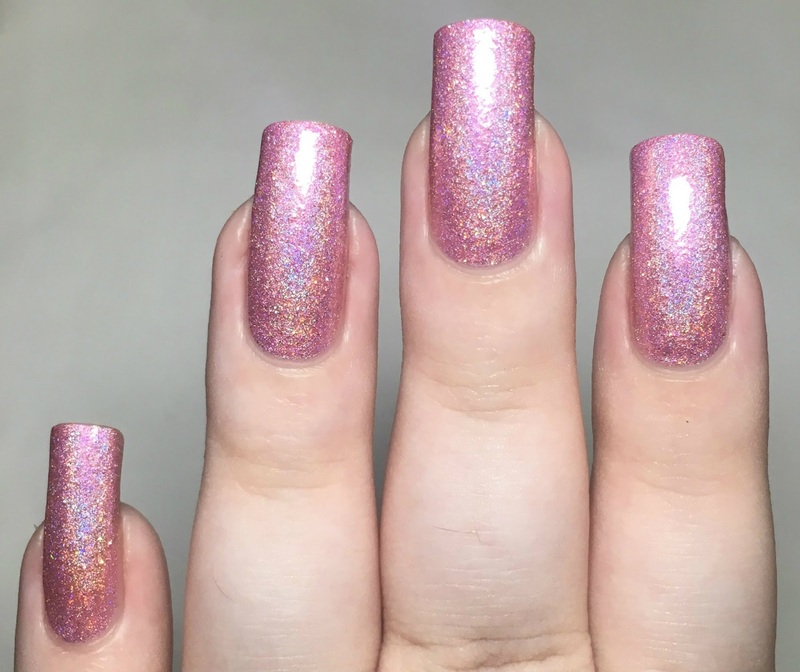 Painted Polish 'Here's To 4 Years' is a light purple ultra holographic with added holographic microglitter. 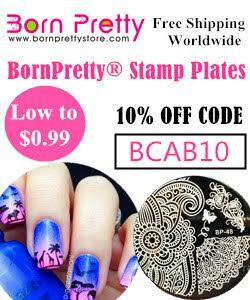 This has a very smooth and easy to apply formula. It is just slightly sheer on the first coat, but covers perfectly with a quick second. Below is two coats with topcoat. 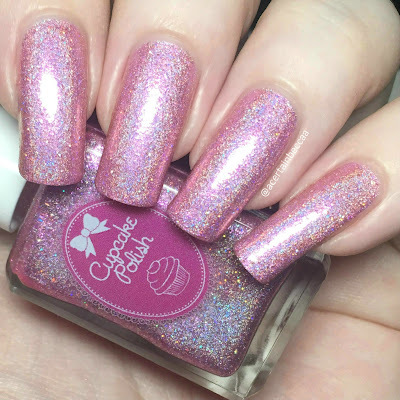 Cupcake Polish '4 Years and Blossoming' is a light pink holographic with added holographic microglitter and a pink shimmer. Again this smooth and easy to apply. This has great coverage on the first coat, and is fully opaque after a second. 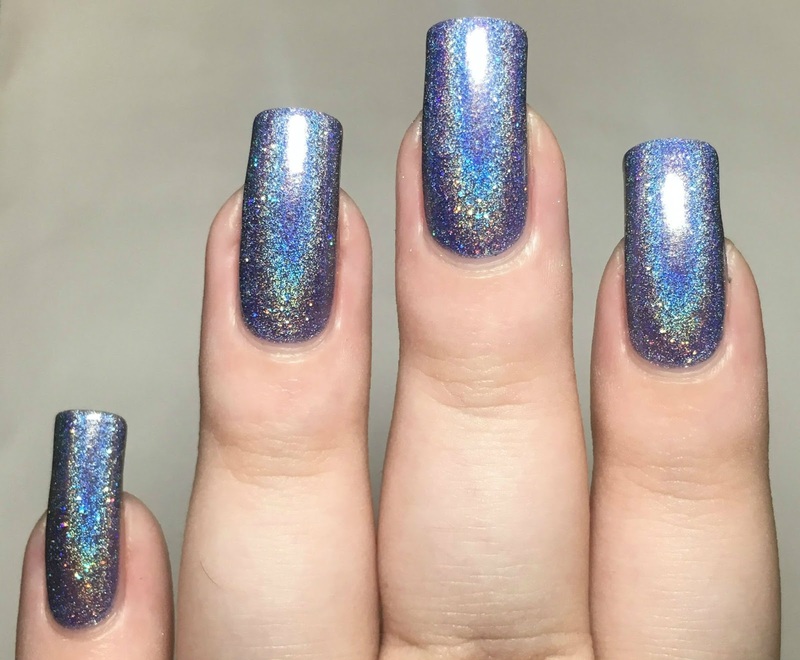 Below is two coats with topcoat. What do you think? Both polishes are beautiful! They pair perfectly together to make such a pretty duo. I don't think I could pick a favourite between the two, so I'm not even going to try. Happy Anniversary to both Painted Polish and Cupcake Polish! This duo is still available over on Rainbow Connection for £22, and can be found here. They will not restock once they have sold out, so be quick!